Jomeis Fine Foods Organic Sweet Balsamic reduction is 100% organic. Sourced from Modena, Italy, the vinegar is barrel-aged and then blended with organic coconut sugar to create an exquisite artisanal sweet balsamic reduction. 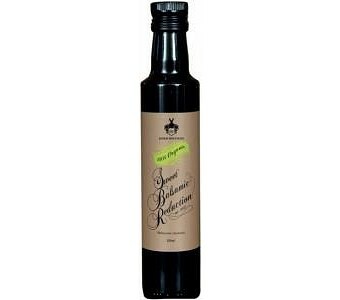 Drizzle Jomeis Fine Foods Sweet Balsamic reduction on meat or poultry to enhance the flavour; use as a dip, or with tapenades; as a salad dressing or in sweet desserts to create a magical taste sensation!